41:Houston to Smithers -42 mi Leaving Houston was a slow start. John and I both found it necessary to sleep in, and then make important phone calls before hitting the Great Emptiness that will be the Cassiar highway. My phone call (involving my health insurance and a prescription refill) was not fruitful, and left me frustrated and in a sour mood heading out of town. Unlike the previous few days, the short ride to Smithers got more and more scenic as the day went on. The climb up Hungry Hill was exceptionally sweaty, but that meant a long coast down the other side and it was down hill all the way to Smithers. I bid John farewell at the visitors center and headed to my warmshowers host’s house. Kirsteen welcomed me warmly and I spent most of the afternoon napping and binge reading a trashy romance novel (it amazes me how little character development or plot originality is required to get a book published!) Nonetheless, I felt compelled to finish it in one sitting after plodding away at the philosophical Shop Class As Soul Craft for the last month. Kirsteen gave me a quick tour of town, and then we dropped my bike off at the shop for a tune up before the Great Empty North. Her boyfriend, Andy, came over and we ate salmon and risotto for dinner, and I promptly went to bed. 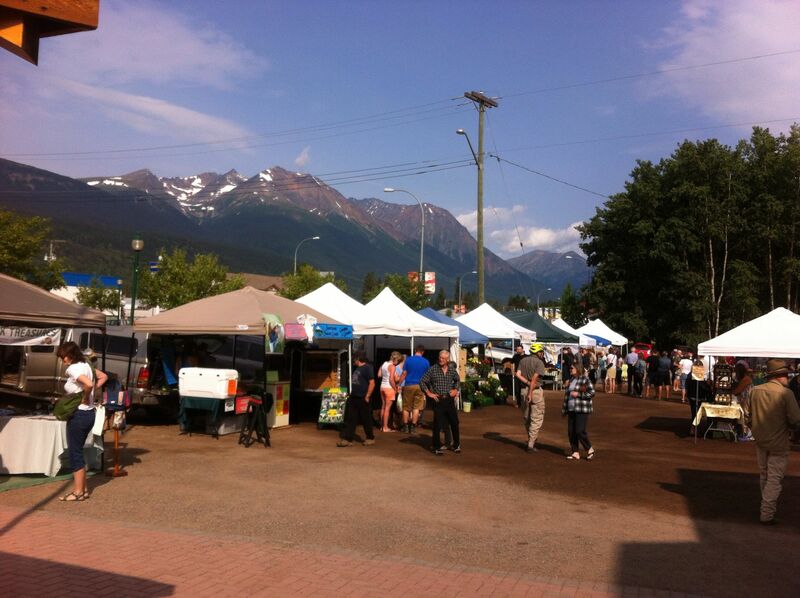 Smithers was the perfect town for a rest day, and Andy and Kirsteen the perfect hosts. I slept in, and then they forced me to down six slices of French toast with blueberry sauce and real maple syrup. The horror! When they set off for their 2-hr run (training for a trail half marathon), I first stopped at the little free library to trade out my trashy romance novel for something more substantial, and then went in to town and stopped at the excellent farmers market. I picked up some hard cheese and sausages from the Smithers Sausage factory and did some research at the library on ferry routes down the coast. Everyone insists that the Inside Passage is a not-to-miss trip, and I am trying to work out logistics of getting (part way) home that way. I rounded out my morning in town with a lengthy trip to Safeway to stock up on food for the Cassiar. It is 7-8 days from Kitwanga to the next real grocery store in Watson Lake, Yukon, with only one convenience store in between. I returned home with far too much food and took a nap. Then Kirsteen drove me and my bike 20km west to Andy’s house- they introduced me to the term EFI -“Every F***ing Inch”, to which some of their past warm-showerees subscribed. I have no compunction with accepting help when offered! After dinner I gave a slideshow of my trip so far, and went to bed promptly so Kirsteen and Andy can join me for the first 15-20km of my ride tomorrow.